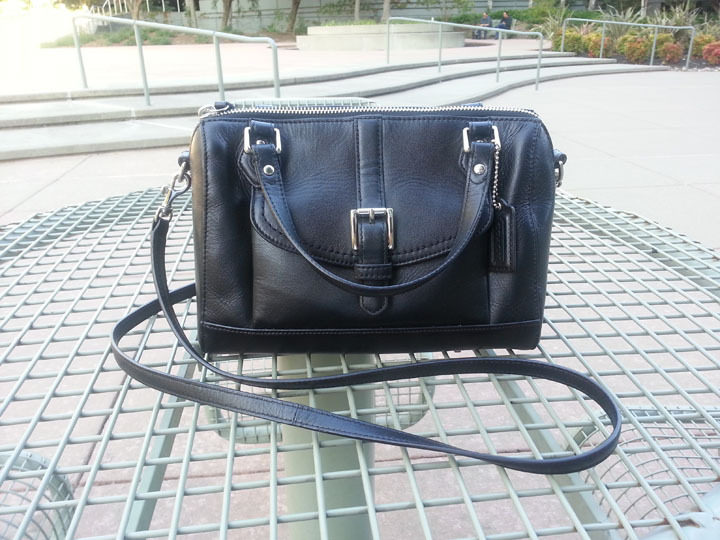 I love this little Coach purse. I don't know if I have shown it before on this blog or not. I like it because it is small but large enough to fit everything that I need. It also has a nice long strap and I love wearing it with it over my head and across my body. It is actually my most handy purse. One of the things I really enjoy doing with it is using it while dressed as a guy and in my normal daily life I really don't notice it much. But currently I am not experiencing my normal daily life. I am off on a work related training. This is something additional to my regular employment that I am involved in but within my same field of employment. I have different supervisors and bosses but it is also mixed in with some of my regular coworkers. The last time I was off on one of these training sessions I found it very convenient to continue using this purse. But on this training I was working with two male coworkers who I work closely with and are not the most open minded of people. One of them has in fact said some anti-trans statements before. Thus it is that I really hesitated when I checked into the hotel room and began to ponder if I should bring along my purse to the before dinner happy hour fun with the guys in the bar. Standing there in my hotel room I went back and forth in my mind with taking the purse or not taking the purse. 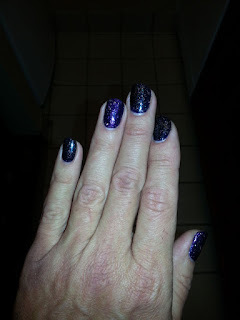 Again, I looked down at my nails, which everyone has already seen and known about for around three years, including the bosses, and my male coworkers. I looked down at my shoes, which are the new tennis shoes I recently wrote about. I took a deep breath, shook my head at myself, packed up my purse and headed to the bar. Upon walking into the bar, my coworkers pointed and laughed at me! Ha! No, of course that didn't happen. What did happen was that they smiled and nodded, as men are currently expected to do in greeting each other. I stood in line, got my complimentary happy hour drink, tipped the bartender and went and sat at the table with my uber-male coworkers. At which point they abruptly pitch-forked me! Again, sorry, no. Nothing happened yet again. We actually just sat and talked. So despite my fears, two days in, and many male-purse-adorned moments have occurred and absolutely nothing has happened. Oh... there was the one incident when I went outside for a short break and another participant and I were talking about shopping and she asked me about favorite store. When I said White House Black Market, she said, "oh really?" And I said "yes." It was very scandalous! I really would like to make it clear, I am not interested in slowly replacing all of my clothes and items and attempting to live as a woman full time, bit by bit. All I would really like to do is to understand that I need to allow myself to be me. And the "real" me exists somewhere outside of the gender binary; somewhere in that space that makes up the spectrum between both the poles of male and female. In many ways I find it more difficult to show my gender non-conforming behaviors than to fully cross dress. This is truly me and I am trying my best to allow myself the freedom to show it whenever and wherever. Work hard to love yourself. Nice purse (said with sincerity). I have a nice bag that I like to carry (it's not overtly feminine or obviously a purse, but that's not why I chose it. I just like it.). Pitchforks, torches, angry mobs, and snide remarks have been MIA. The only comments, from women and men, have been compliments. I get what you're saying about fears of displaying gender non-conforming behaviors vs full crossdressing. 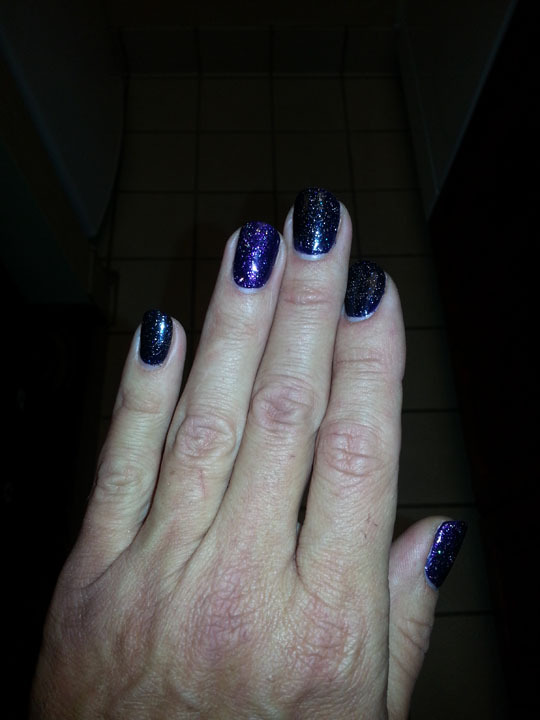 One of my own sticking points is I am not ready to go out with painted nails in male mode. It does take work to reach a point where we each allow ourselves the freedom to be ourselves and express ourselves as we are. I think it's a lifelong journey. We get thee step by step. Bon voyage! Round here (Cambridge, UK) it's very unusual to see a man carrying a bag of any kind. Which is odd. I can only assume their pockets are jammed with stuff.